It looks like an ordinary apartment in Jerusalem. But once you step in, extraordinary things happen. Welcome to the Machlis home. 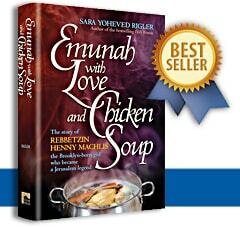 Mordechai and Henny Machlis moved to Israel right after they were married. They knew they wanted to build a beautiful Jewish home. They wanted to welcome visitors. But they never dreamed that they would become famous as the family that hosted more than 100 people (sometimes even 150!) in their apartment every Shabbos. 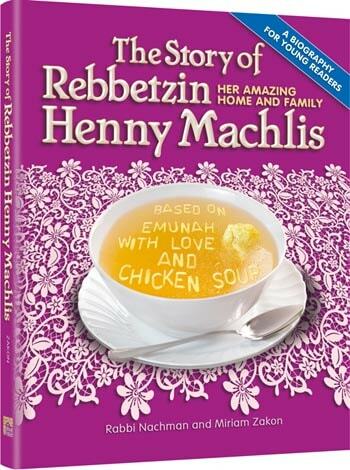 In this book we will see how Rebbetzin Machlis – whom everybody called Henny – managed to take care of so many people while raising her own large family. But more: we will see how she loved every single Jew she met. 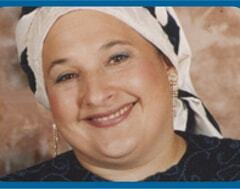 We will be inspired by her emunah, her faith and trust in Hashem. We will be amazed by the unbelievable things that happened to her all the time, because she knew that she was taking care of all of Hashem’s children. “In the Machlis home, miracles happened every day” one of her grandchildren once said. 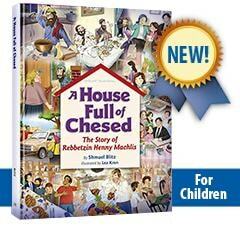 In The Story of Rebbetzin Henny Machlis we’ll be amazed and inspired by those miracles of love, caring, and faith.